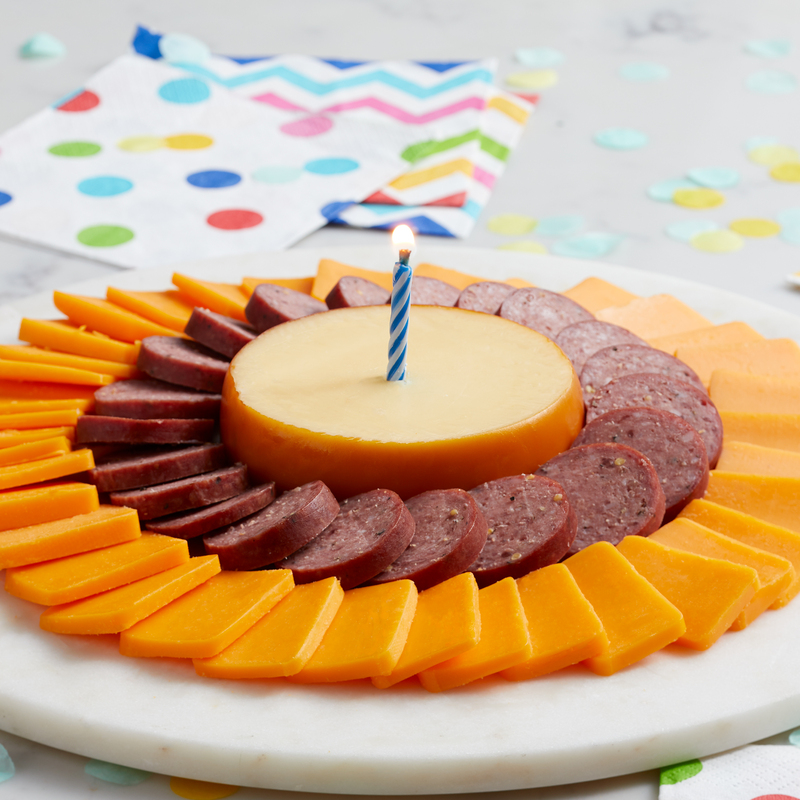 Send warm birthday wishes to someone special with this festive collection. 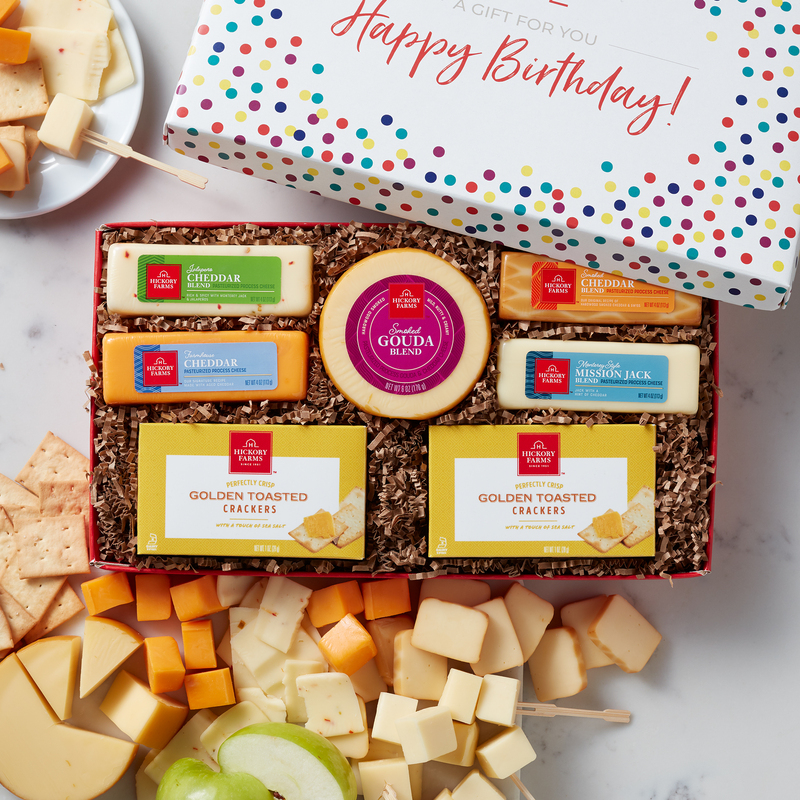 This birthday confetti gift box is filled with our party size Signature Beef Summer Sausage, Smoked Gouda, Smoked Cheddar, Jalapeno & Cheddar Blend, Farmhouse Cheddar, Mission Jack Blend, and Golden Toasted Crackers. 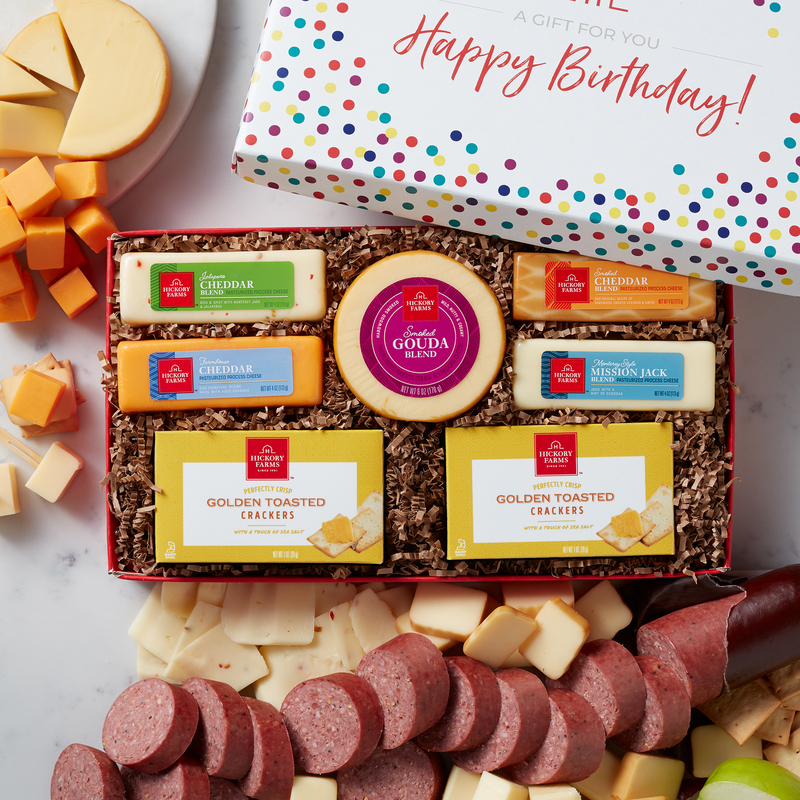 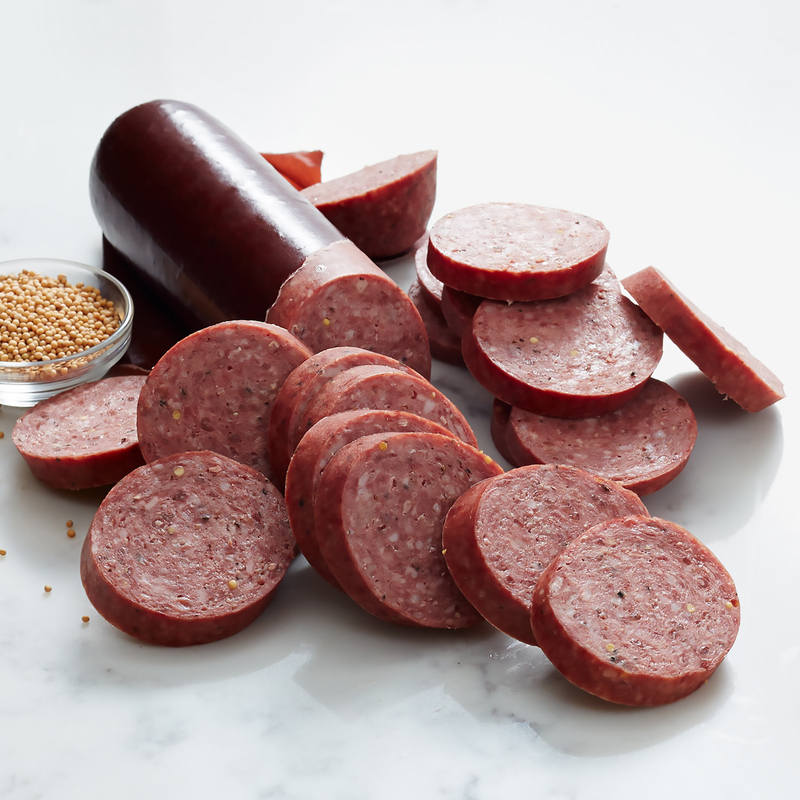 Have this birthday gift box delivered as the perfect addition to their meat and cheese spread at their birthday party!